Always a very exciting time in the last few weeks of pregnancy anticipating the arrival of a newborn into this world, it's a great idea to mark the occasion in some way and have some photographs to look back on and remember. You won't believe how 'big' your bump was, but also how baby ever fit in there! 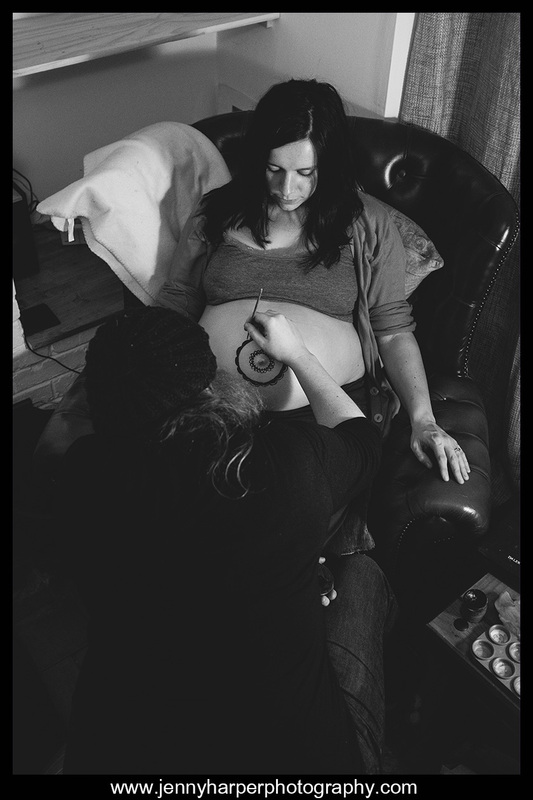 I recently spent a lovely evening with a good friend who decided to have a mandala painting on her baby bump. A mandala (I had to ask) is a circular painting or image representing the universe. Several friends joined us and I'm sure the process was very relaxing and comforting. What a special way to celebrate this time and enjoy the end of the waiting game. Here are some photos from the night. Would you like me to capture a special time in your life?